The Stop Online Piracy Act (SOPA) is a United States bill introduced by U.S. Representative Lamar S. Smith (R-TX) to expand the ability of U.S. law enforcement to fight online trafficking in copyrighted intellectual property and counterfeit goods. The PROTECT IP Act (Preventing Real Online Threats to Economic Creativity and Theft of Intellectual Property Act, or PIPA) is a proposed law with the stated goal of giving the US government and copyright holders additional tools to curb access to "rogue websites dedicated to infringing or counterfeit goods", especially those registered outside the US. Unconstitutional: Both bills contain provisions for ex parte proceedings—proceedings at which only one side (the prosecutor or even a private plaintiff) need to present evidence and the operator of the allegedly infringing site need not be present nor even made aware that the action was pending against his or her 'property.' The bill, if passed would allow individuals to create a blacklist to censor sites when no court has found that they have infringed copyright or any other law. All that one has to do is send a notice This not only violates basic principles of due process of law by depriving persons of property without a fair hearing and a reasonable opportunity to be heard, it also constitutes an unconstitutional abridgement of the freedom of speech. Vague drafting: Furthermore, both bills are vague as to what constitutes an infringing site. The bills targeted even domestic websites that merely ‘facilitate’ or ‘enable’ infringement. Thus, the bills would also target considerable protected speech on legitimate sites such as YouTube, Twitter, and Facebook. Due to poor drafting such innocent websites will also fall be victimized. Technical: All domain name servers world-wide should contain identical lists; with the changes proposed, servers inside the United States would have records different from their global counterparts, making URLs less universal. On January 19, 2012, Megaupload, a website providing file sharing services, was shut down by the US Department of Justice and the Federal Bureau of Investigation which proves that SOPA and PIPA are unnecessary. Following the shutdown of Megaupload, there was a huge attack on the internet, the Department of Justice website was shut down only 70 minutes after the start of the attack. The attack disabled a number of websites, including those belonging to the Justice Department, the FBI, Universal Music Group, the Recording Industry Association of America (RIAA), the Motion Picture Association of America (MPAA), and Broadcast Music, Inc. 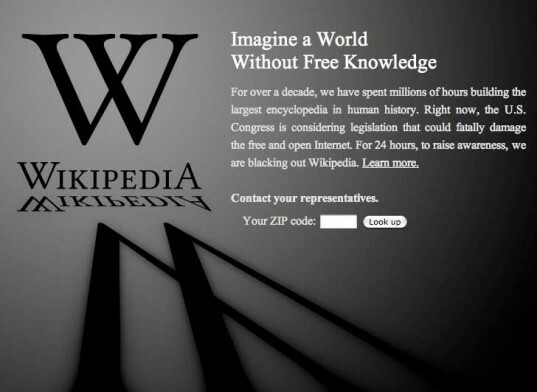 Some commentators argued that the denial of service attack risked damaging the anti-SOPA case. 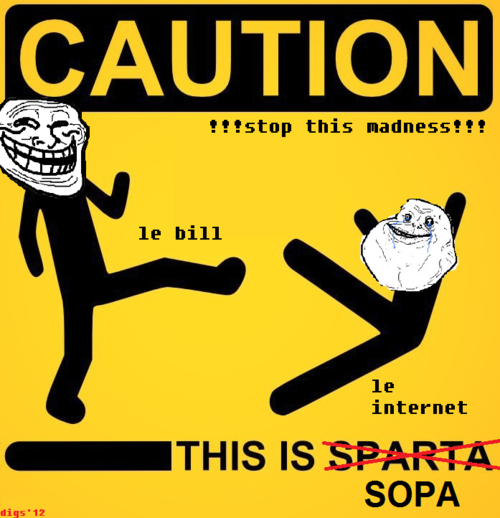 However, the shut down of Megaupload proved that current laws are sufficient and that SOPA and PIPA are unnecessary. Looks like Napster re-visited, doesn't it?. 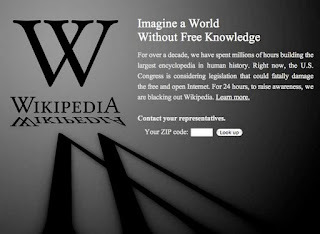 After several online protests such as the English Wikipedia blackout and after several senators who sponsored PIPA, including Roy Blunt, John Boozman, Chuck Grassley, Orrin Hatch, and Marco Rubio, announced that they would withdraw their support for the bill; on January 20 Senate Majority Leader Reid announced that a vote on PIPA would be postponed. We must work together to completely eliminate the threat of SOPA and PIPA. What happened to Megaupload was tragic. There are many petitions online. You can share them. interesting topic.... thnx for short info..
Its never going to come back. Look at the amount of protests. Especially never in India. Don't be so sure. They may come back. One can never say. It has been sent for re-drafting.